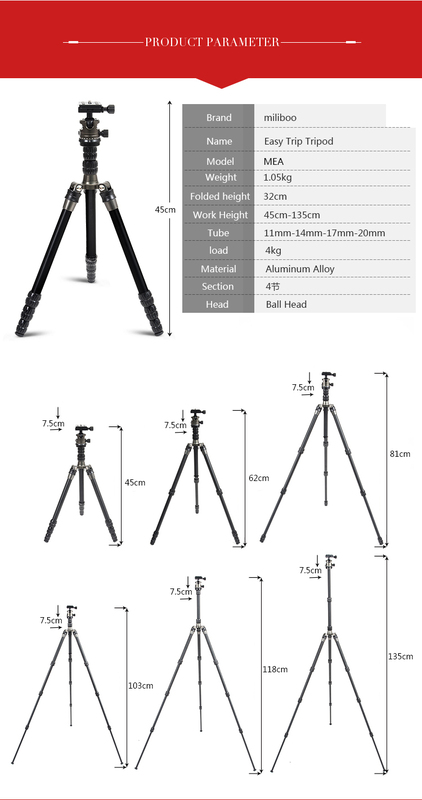 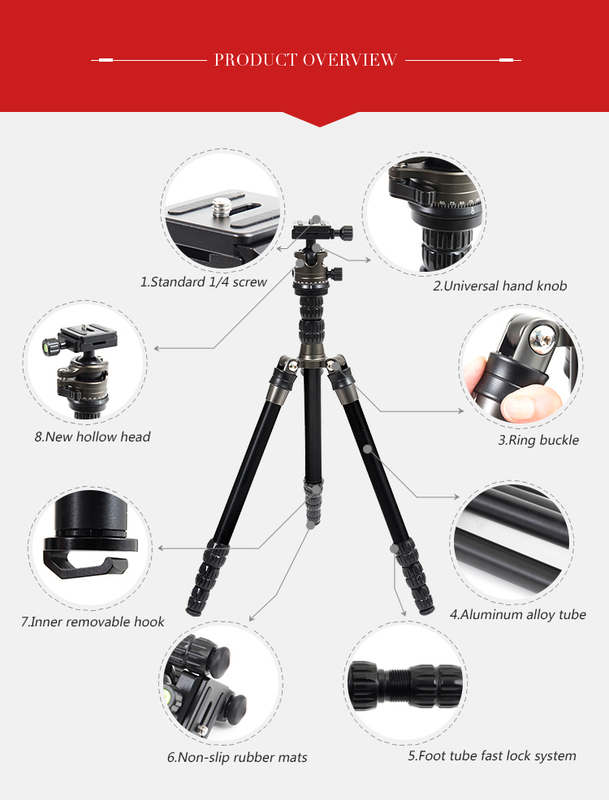 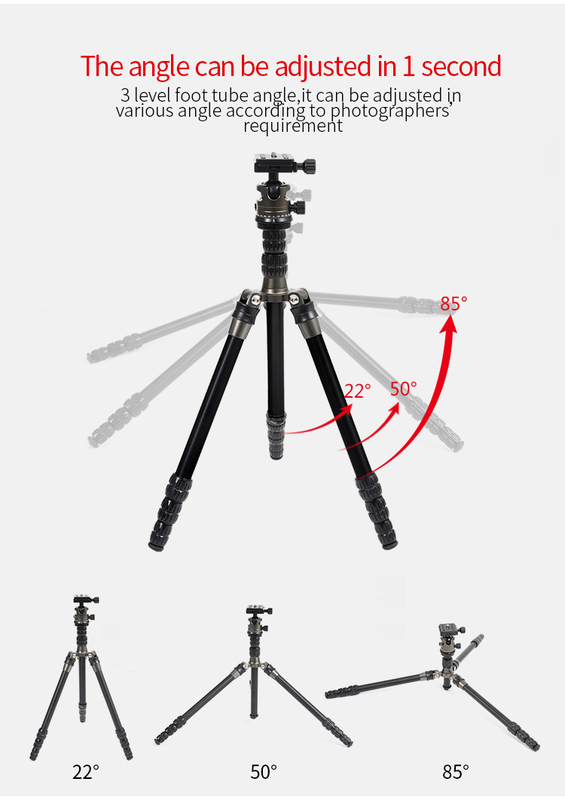 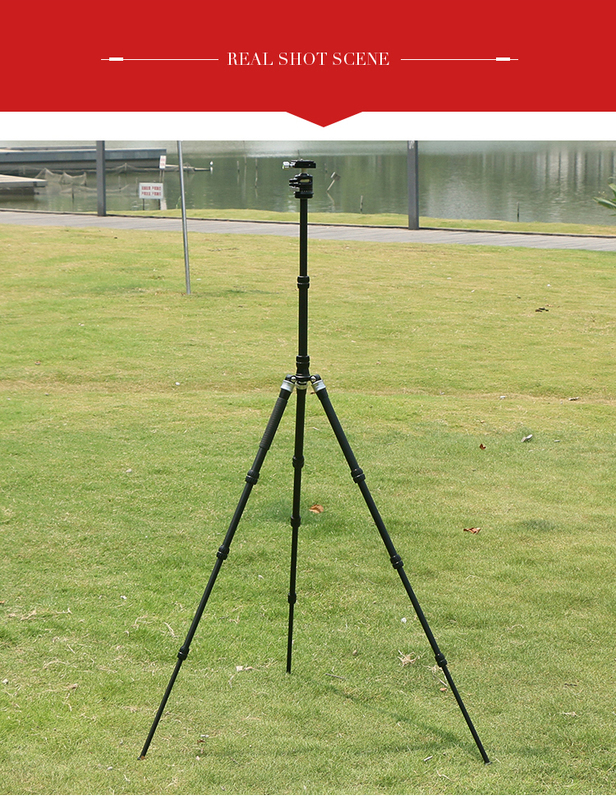 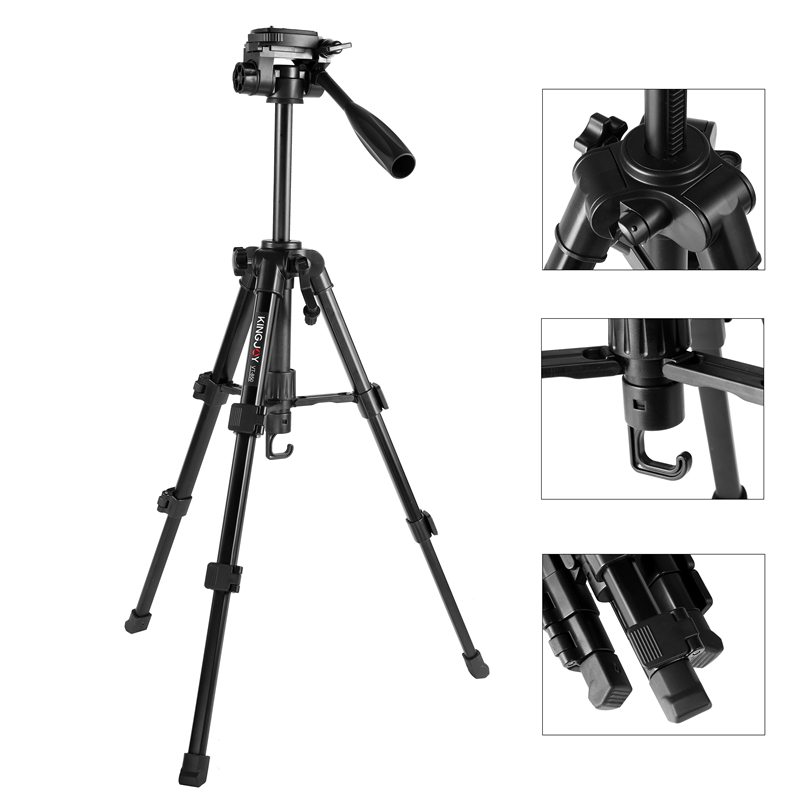 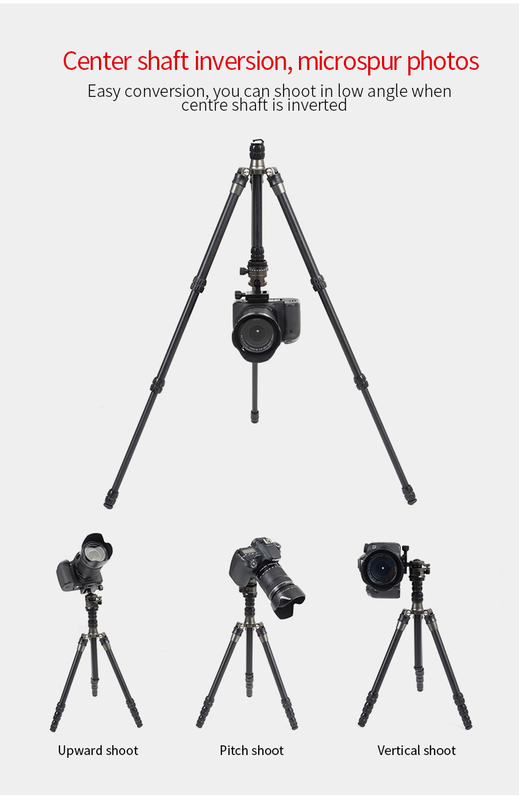 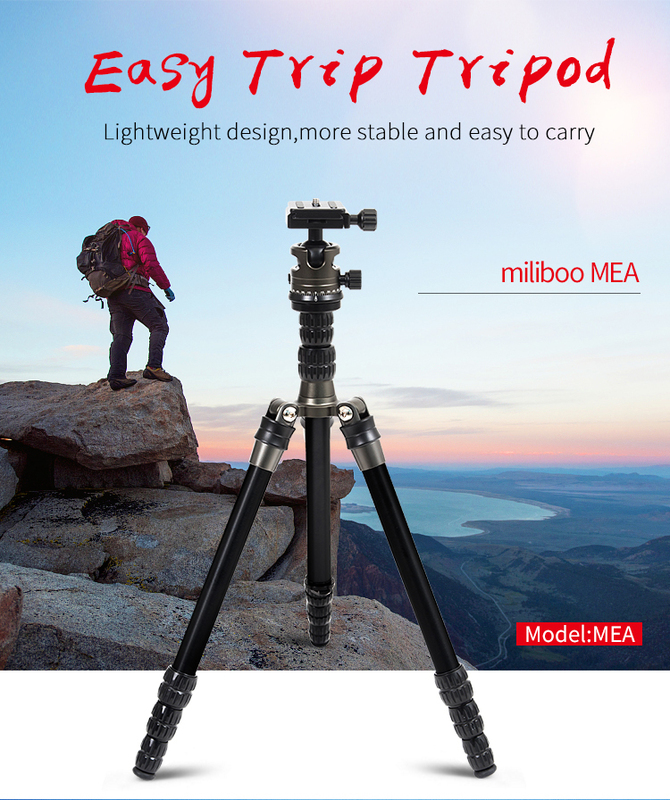 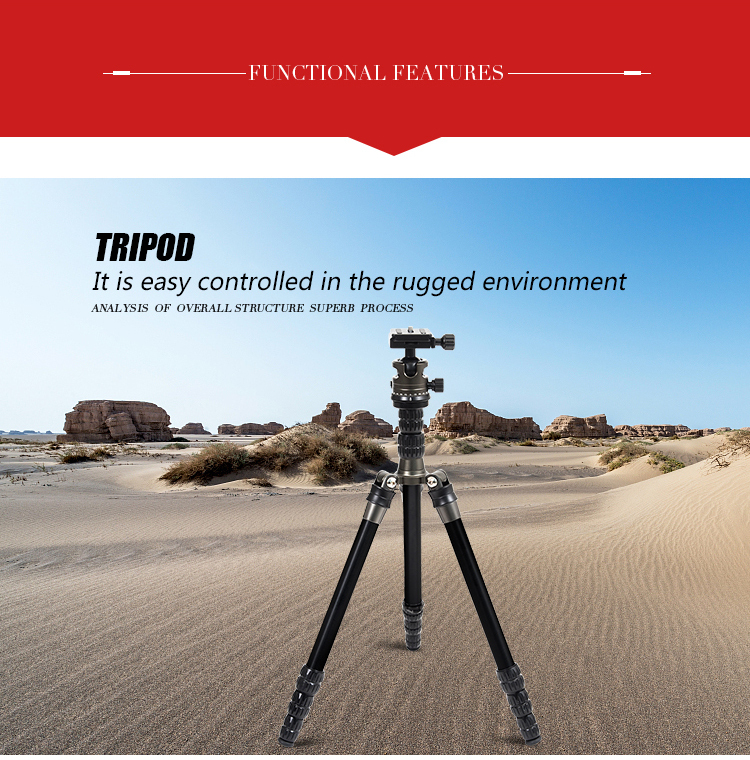 * miliboo MEA travel tripod is designed for professional photographer due to its lightweight only about 0.94 kg,giving it a compact folded length 32cm and it has a portable easy to carry. 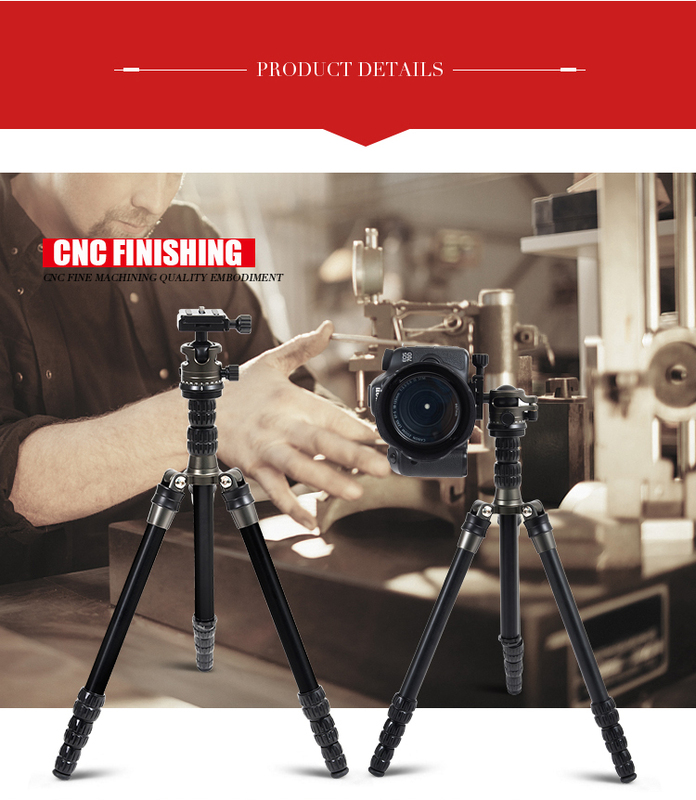 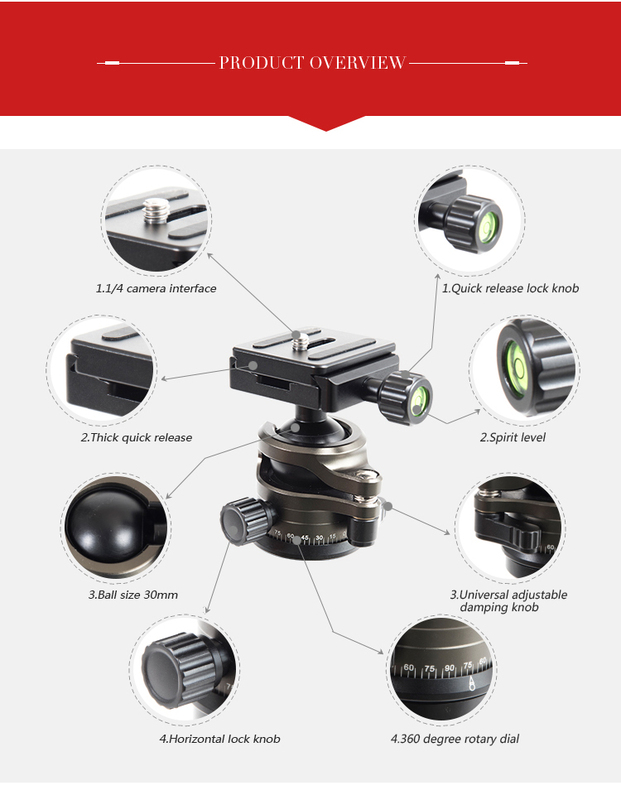 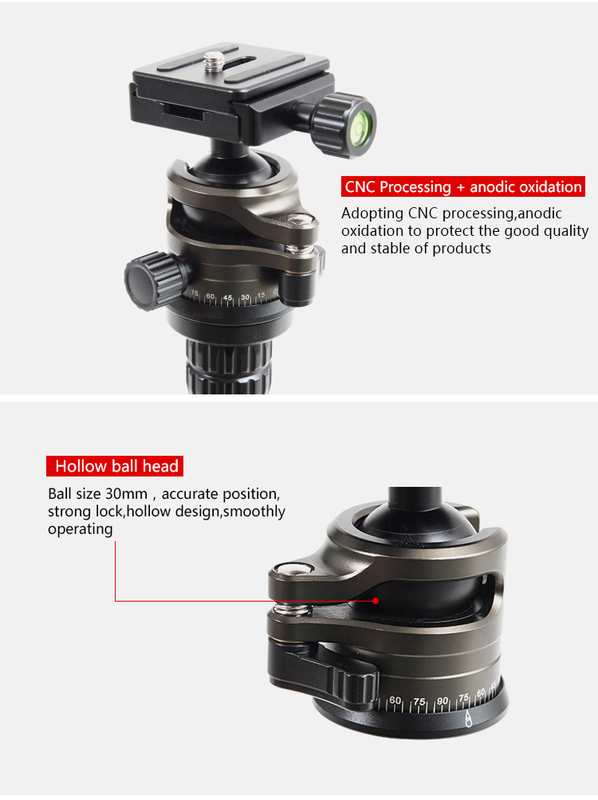 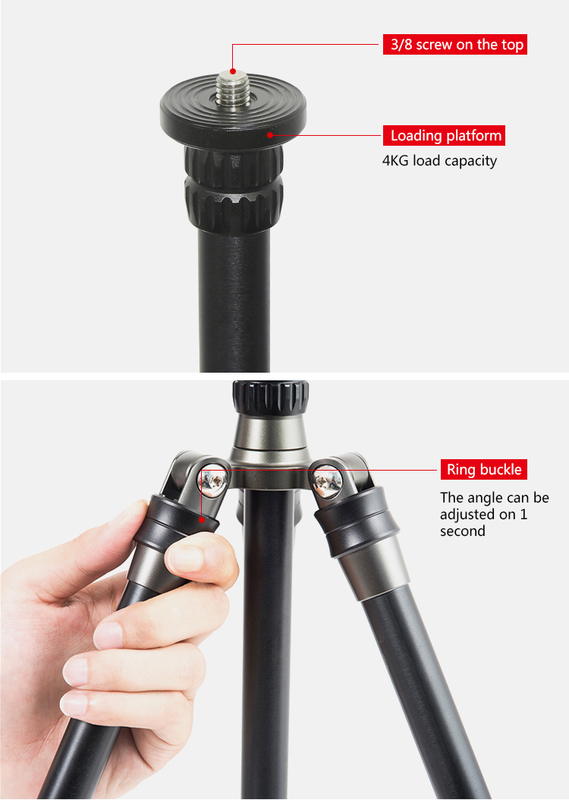 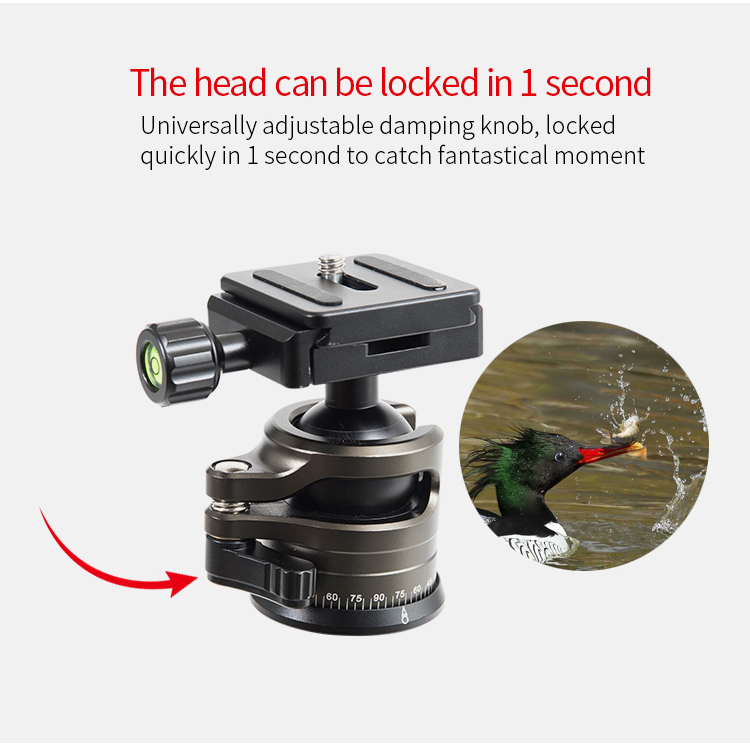 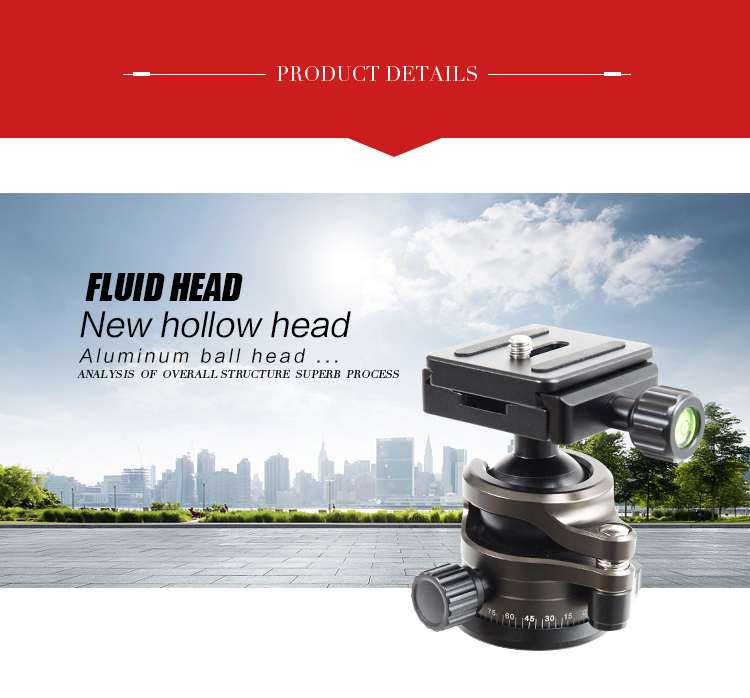 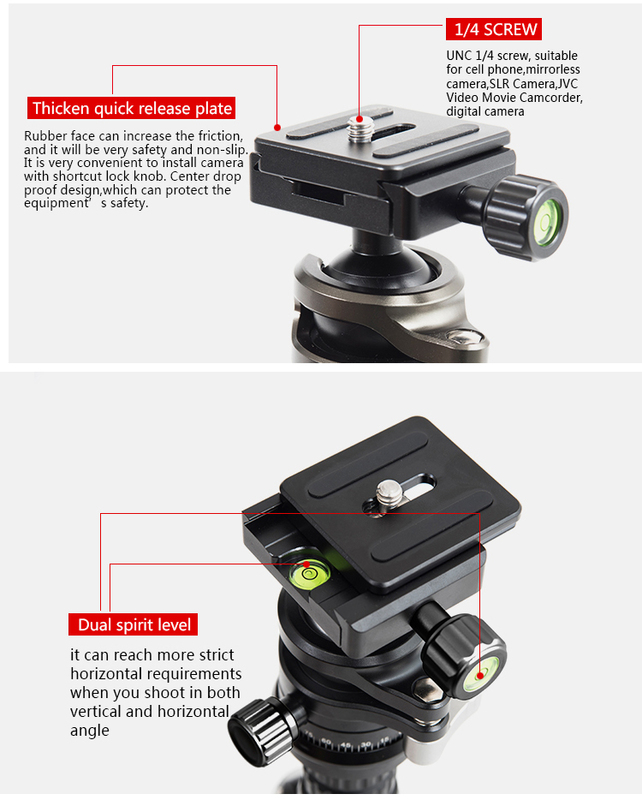 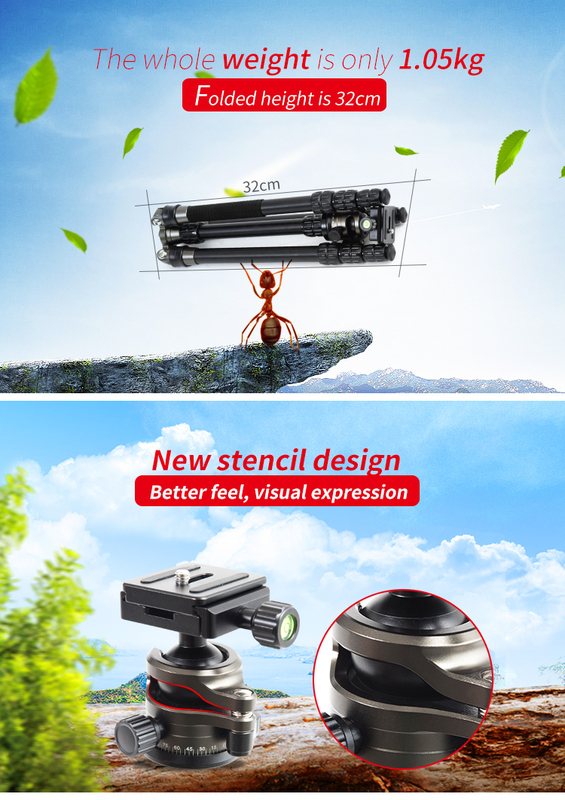 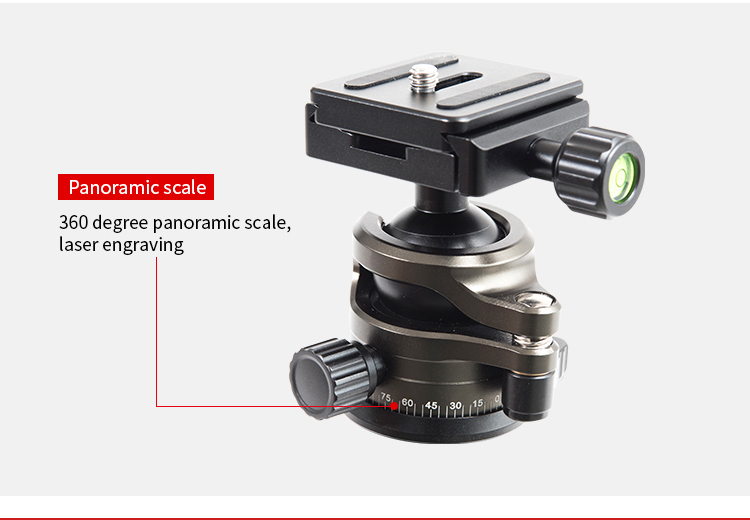 * Design:The head adopted the new hollow design and its easy to lock quality due to the universal adjustment design in damping on head,giving the smoothly when take shooting capture images quickly and accurately. 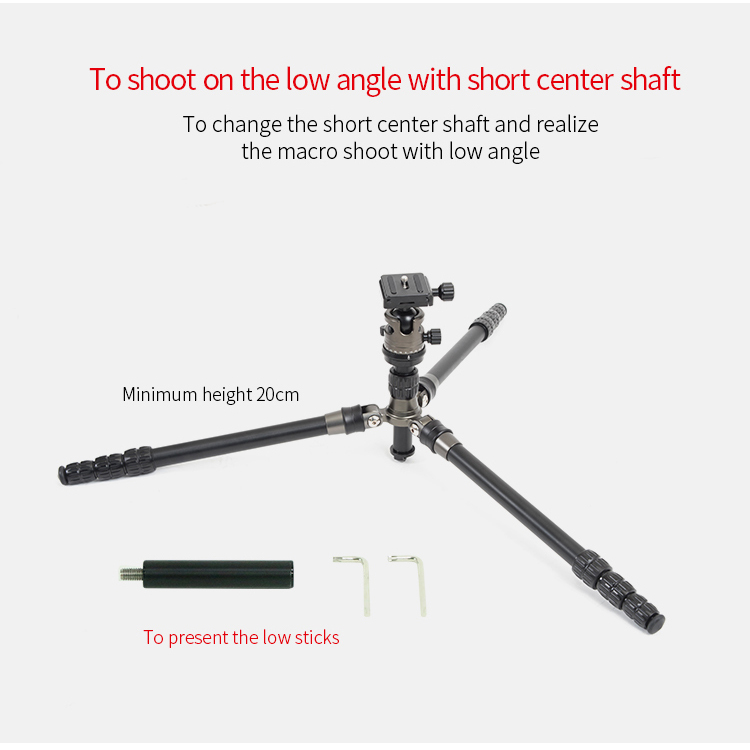 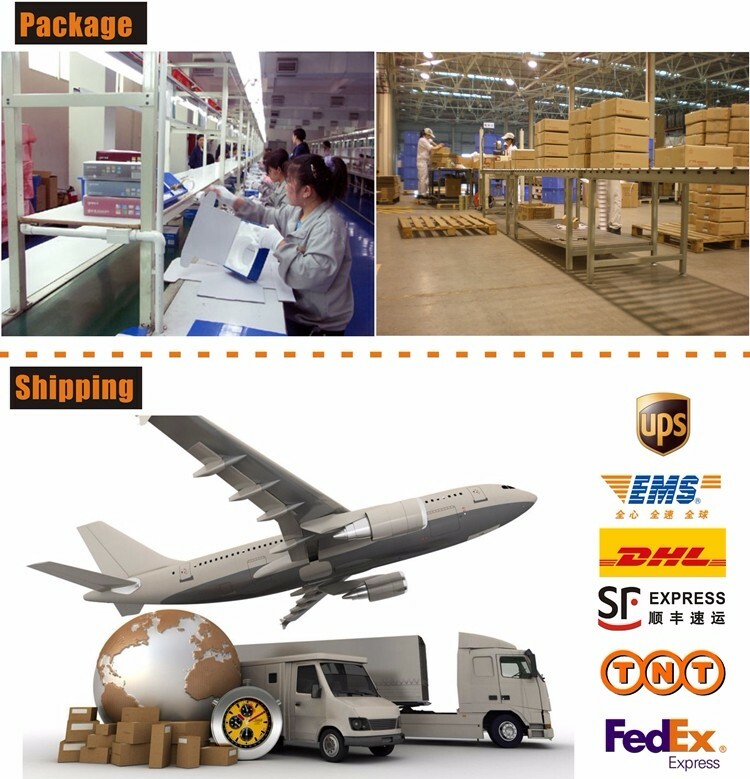 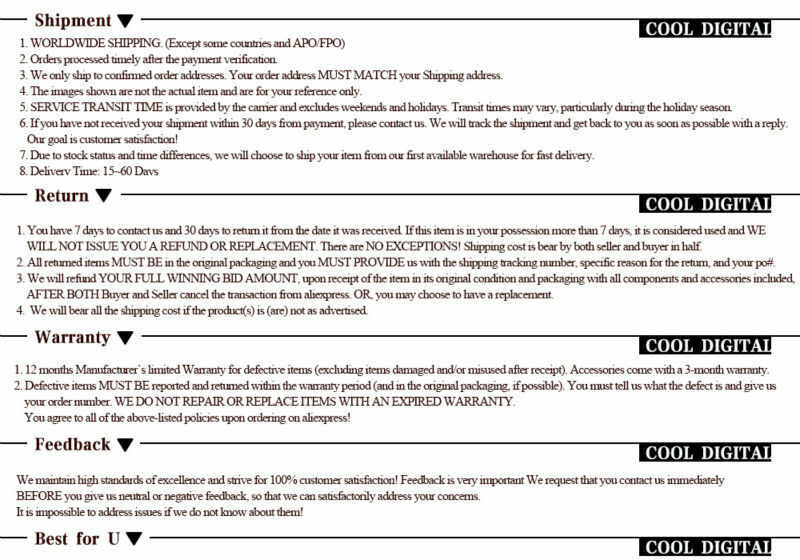 *The silver part of the leg is designed for scaling up and down ,its easy to adjust the angle quickly and provide stable system. 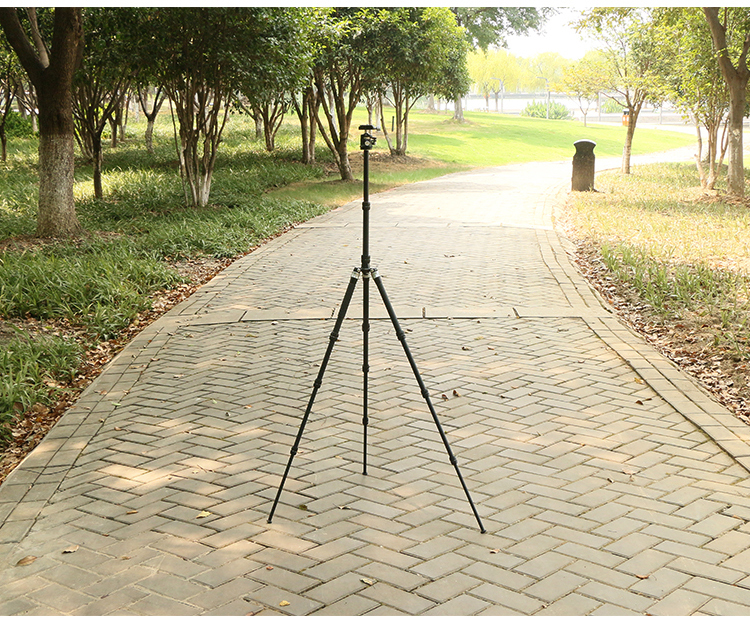 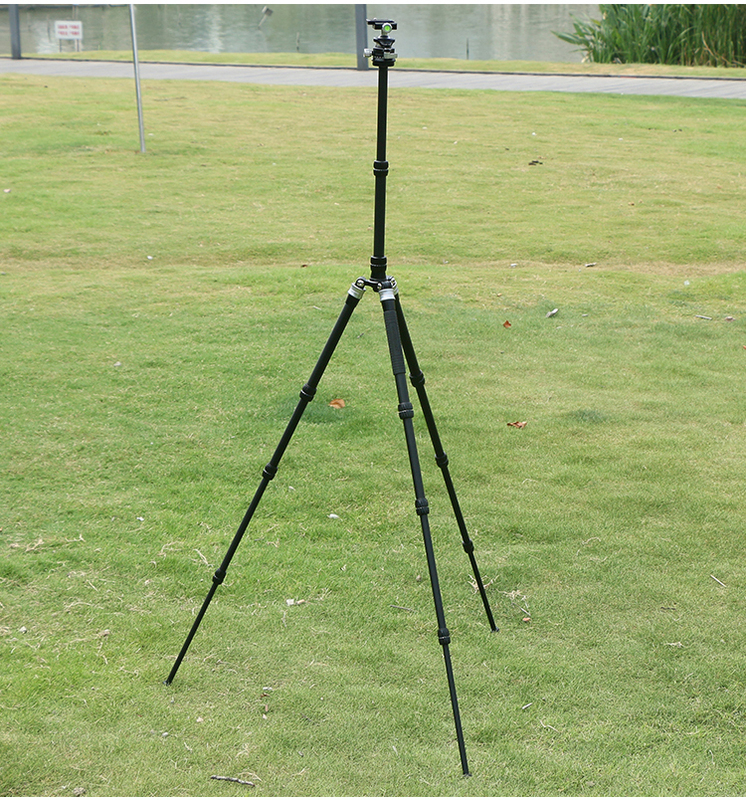 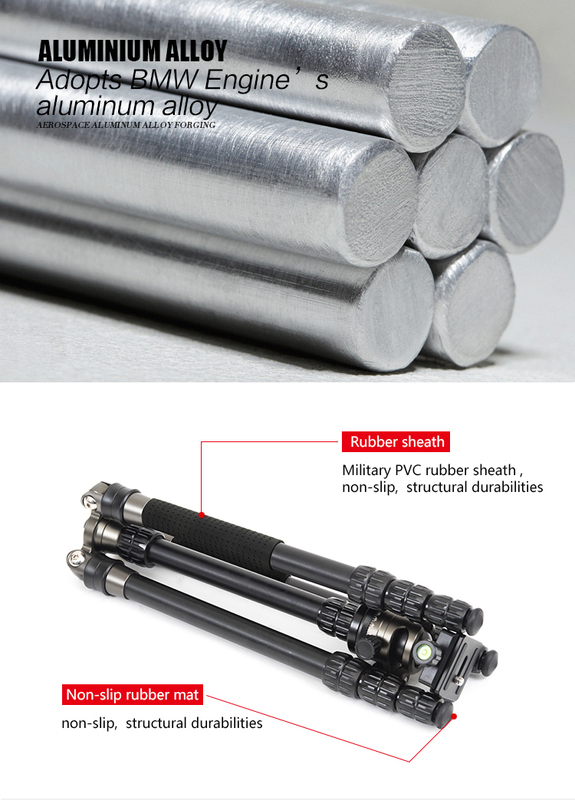 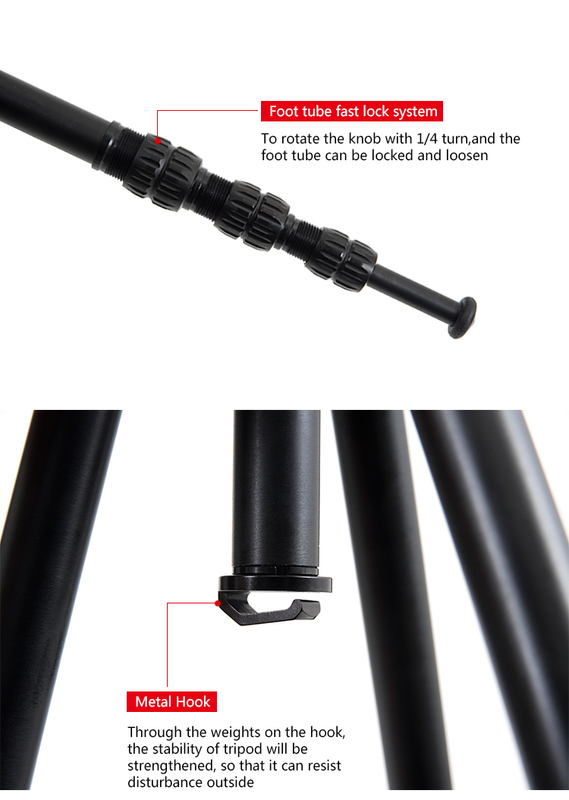 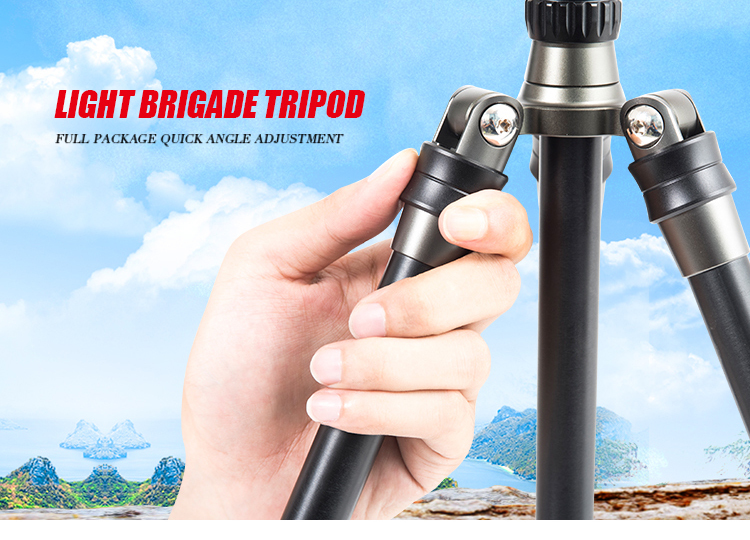 *PVC Rubber sheath equiped on the tripod legs for antiskid and durable,the center-collum also can hook something can enhance stability.